G.F.F. 's Book 2 - NOW available! It’s here, it’s here! 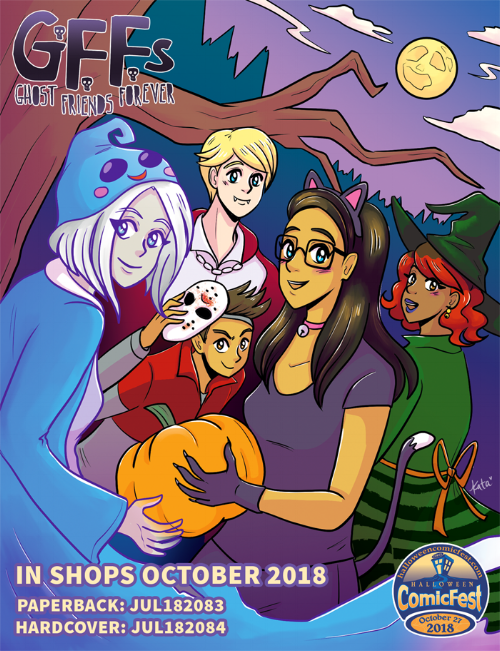 G.F.F.’s (Ghost Friends Forever) Book #2: Witches Get Things Done, is now out in stores! Kata Kane and I will be celebrating the debut of our book at Halloween ComicFest at Third Eye Comics in Annapolis on Saturday, Oct. 27th - do come visit!! Gettysburg LincCon - THIS Saturday!